The page you're currently looking at contains information related to Redactor 1.x. Please visit Custom Redactor TV for the relevant information for Redactor 2.x. 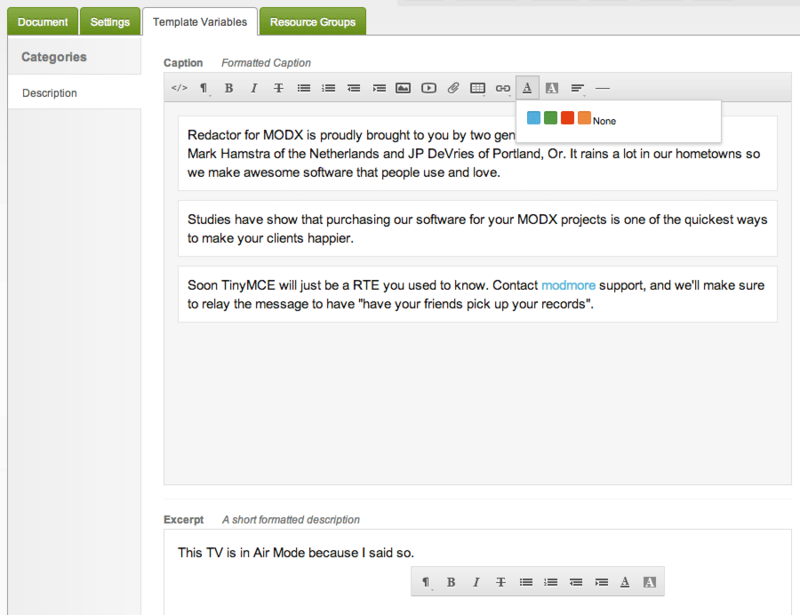 In addition to being able to use Redactor as a Rich Text Editor for your Resource Content, Redactor for MODX comes with a custom Template Variable (input) type. You can create as many Redactor TVs as you need, each with a unique configuration that overrides or inherits the various Redactor configuration options. Want one to be in air mode, another to have certain colors, and another to hide the view source button? Maybe you need different TVs to be different languages or have completely different toolbar options. Not a problem for Redactor. Simply create a new Template Variable and choose the redactor Input Type. You will notice the various input options that you can override, or leave empty to inherit from the system default. For information on each option, see the configuration reference here. All configuration options marked with a blue "TV" tag can be configured for each Template Variable individually. More examples and sample configuration are available on the modmore demo site. 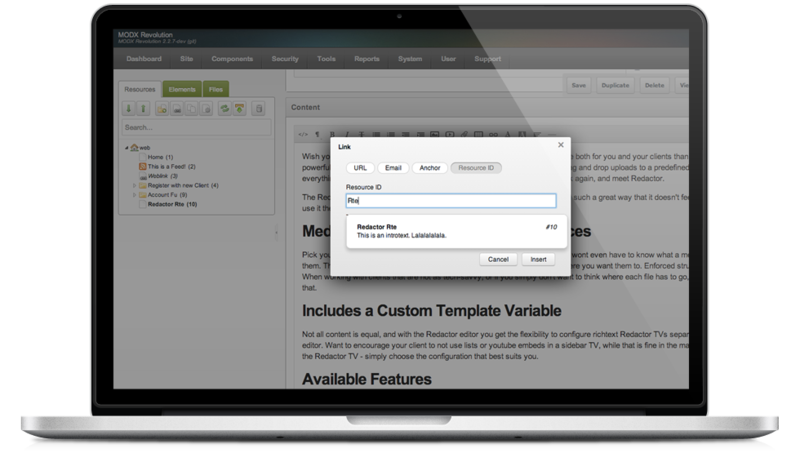 That is also where you can take Redactor for a spin to experience what a user friendly editor works like.